A deed of trust is similar to a mortgage, allowing a borrower to secure a loan to buy a house by using the house as collateral. The difference is that in a mortgage there are two parties involved – the borrower and the lender -- while in a trust deed there are three parties involved – the borrower, the lender and a trustee. The trustee, who is generally a title insurance company or a bank, holds the legal title to the property until the loan is paid in full. Depending on where the property is located, state law determines which type of security instrument must be used. A second trust deed can be a second mortgage or a home equity loan backed by a bank or other lender. A second trust deed means that there is already another trust deed in place that uses the property as security. In most cases, this first trust deed will be the original mortgage for the property. A second trust deed will require monthly payments and interest, in the same way as a first trust deed. With any trust deed, once the loan is paid off, the trustee releases the deed to the borrower. One major difference between a trust deed and a mortgage is that a trust deed can be written so that foreclosure can take place without a court hearing. If the borrower defaults on a trust deed, the trustee can foreclose on the property on behalf of the lender, without suing the borrower in state court. Depending on the state, this process can be very quick. However, the second trust deed lender will always take second priority, whether it is the first or second lender who forecloses on the property. In other words, if any trust deed holder forecloses on a home and sells the property, the lender of the second trust deed will only receive any money after the lender of the first trust deed is paid off. Interest rates on second trust deed loans tend to be higher than on first trust deeds. This is because, in the event of foreclosure, the holder of the second trust deed is always second in line for any repayment. If no money is left after paying off the first trust deed, the lender of the second trust deed may not receive any money. This higher risk of loss for the second trust deed lender is reflected in higher interest rates. Interest rates on second trust deeds may also vary with the amount of equity in the property. The more equity, the lower the risk of repayment for the second trust deed lender -- and the lower the interest rate. A second trust deed is less risky for lenders than an unsecured loan, so it will likely have a lower interest rate than an unsecured loan. Second trust deeds are sometimes used in home purchases when the buyer cannot find financing for the entire cost of the home. For example, if a home is selling for $250,000, but the buyer can only find financing for $200,000, he may ask the seller to take back $50,000 as a second trust deed on the property. 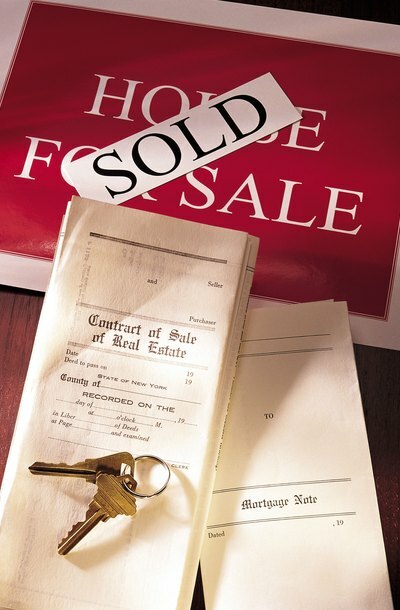 In a tight real estate market, this can make it easier to sell a property, but there is a risk that the seller will end up losing the amount of the second trust deed in the event of foreclosure. Escrow Help: What Is The Difference Between A Mortgage And A Deed of Trust? Can a Bankruptcy Judge Void a Mortgage? Under some circumstances, a bankruptcy court may not only delay or stop a foreclosure process, but actually declare a mortgage to be void, relieving the debtor of the obligation to continue making any mortgage payments. Bankruptcy courts can eliminate or reduce the amount you own on second mortgages in some bankruptcies through a process called lien stripping, and void a first mortgage if it has particular types of legal defects. The term trustee is used in the law to describe very different roles. The qualifications of a trustee can be crucially important or much less important depending upon what kind of trustee is at issue. While trustees who manage express trusts can wield enormous power over trust assets, the trustee for a deed of trust is little more than a dual agent for parties involved in the purchase of real estate. Alaska imposes few restrictions on who can assume this role.